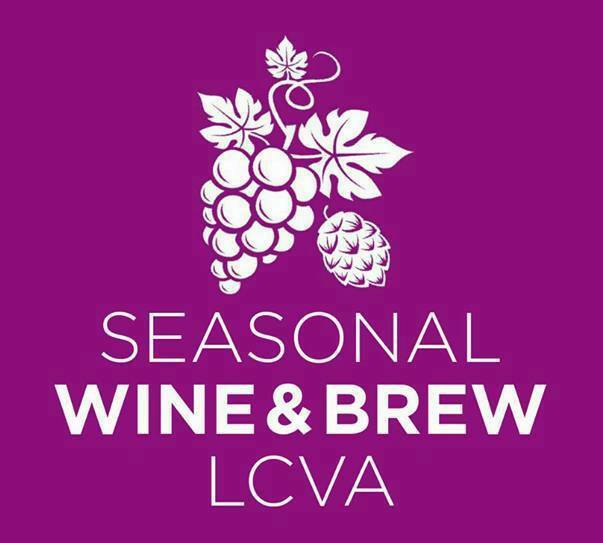 Please join us for our Seasonal Wine & Brew on Friday, April 19th, from 5-7 p.m. This event is sponsored by Dr. Barbara Smith, Justine Young, and Piedmont Senior Resources Area Agency on Aging, Inc.
Point of Departure: Longwood University Department of Theatre, Art, and Graphic & Animation Design Senior Exhibition will be on view in the LCVA galleries. Enjoy a seasonal cocktail or curated wine or beer while you view this exhibition. These exhibitions and their related programs are presented by the Hotel Weyanoke. All LCVA exhibitions and programs are made possible through the generous support of the Wells-Fargo Foundation, the Walter J. Payne Foundation, Anne Carter & Walter R. Robbins, Jr. Foundation, the E.B. Duff Charitable Lead Annuity Trust, Southside Electric Cooperative, Gantt Insurance & Auto Owners, Walmart, Julie Kline Dixon and Guy Dixon, Navona & David Hart, Real Living Cornerstone, and Helton House.